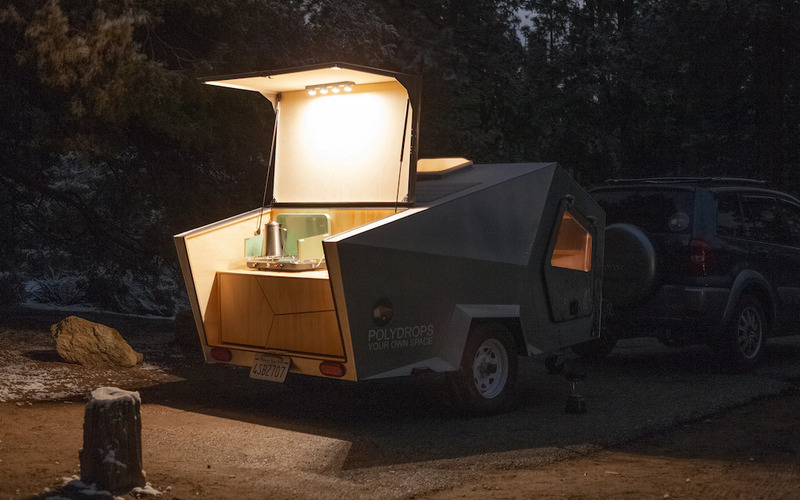 We’re experiencing a second Golden Age of camping trailers. 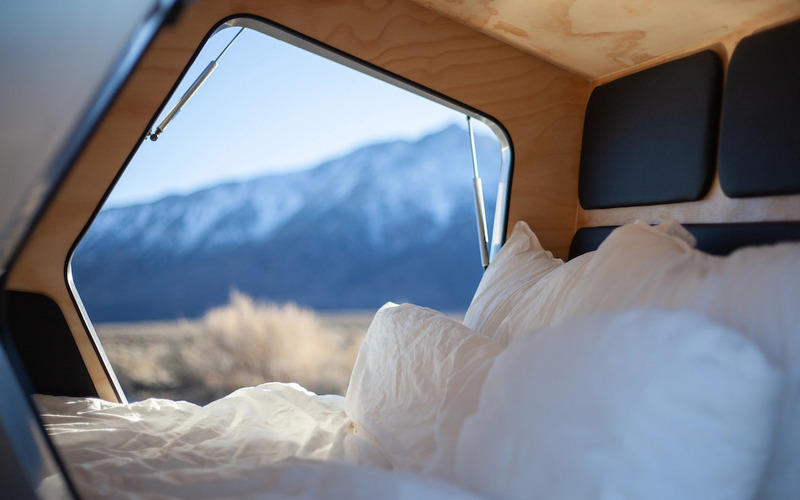 After Airstream picked up steam again in the early 2010s, we’ve been flush with innovative, limited-edition riffs on timeless aluminum and teardrop stylings. 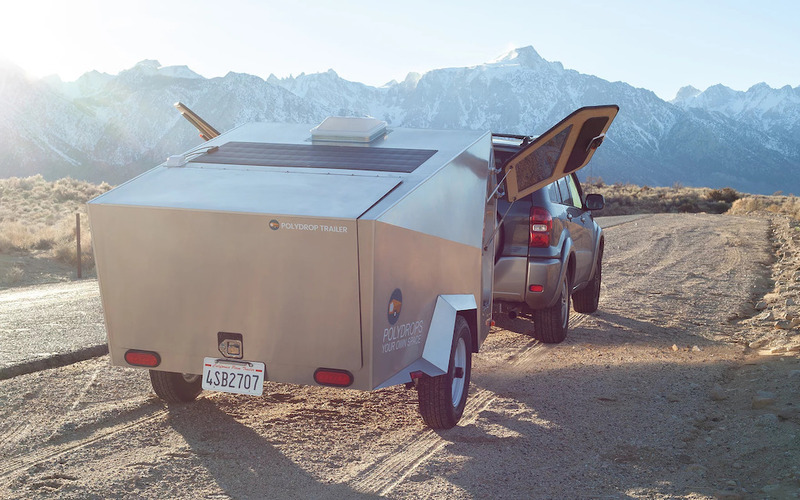 But because practicality is essential (you still have to tow the thing), we have come to a point where many “groundbreaking” designs start to look the same. Then Kyung-Hyun Lew came along. 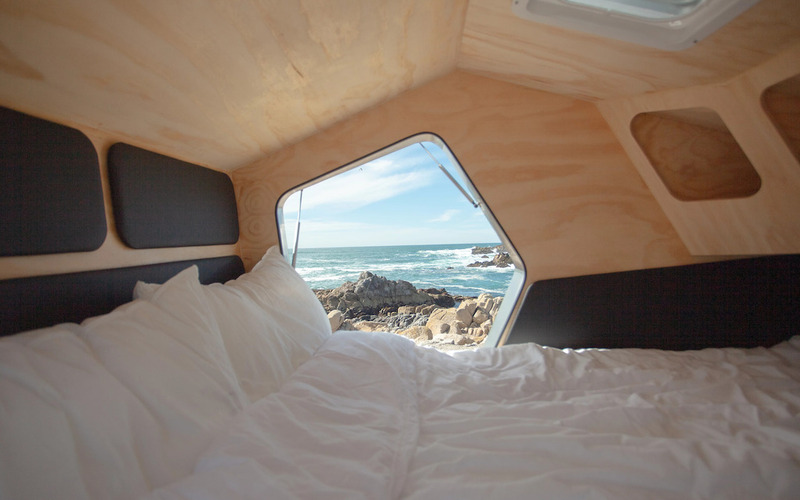 He’s the architectural designer behind Polydrop, a new polygonal teardrop trailer that’s part spaceship, part micro-apartment and part Instagram gold mine. 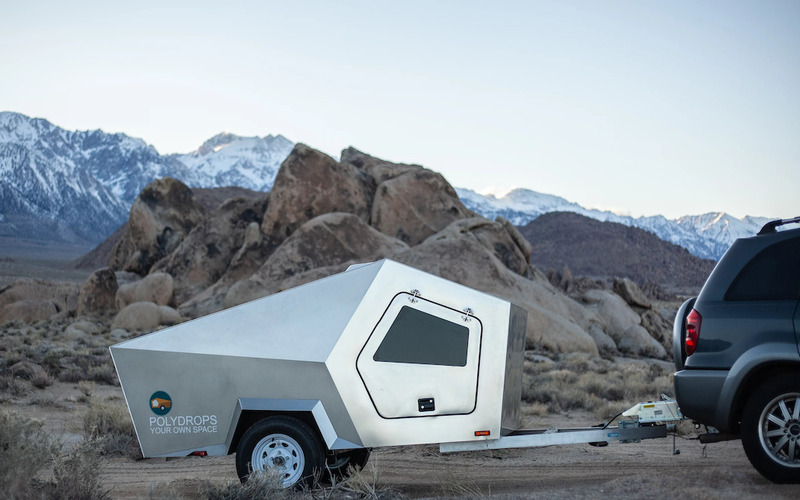 While there are certainly powerful four-cylinder cars on the market, the point here is that the Polydrop is a notably lightweight, but still luxurious, option. According to the website, its tongue weight is a measly 80 pounds, with the base weight just 760 pounds. 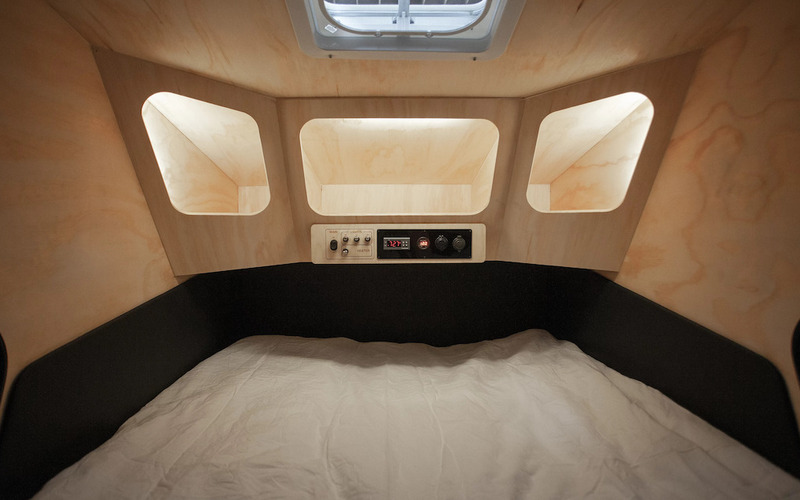 A mattress takes up the entire interior, but the cabin is also outfitted with a roof vent, storage cubbies, electric heater, and USB and 12V outlets (a 12V battery can be connected to a solar panel). 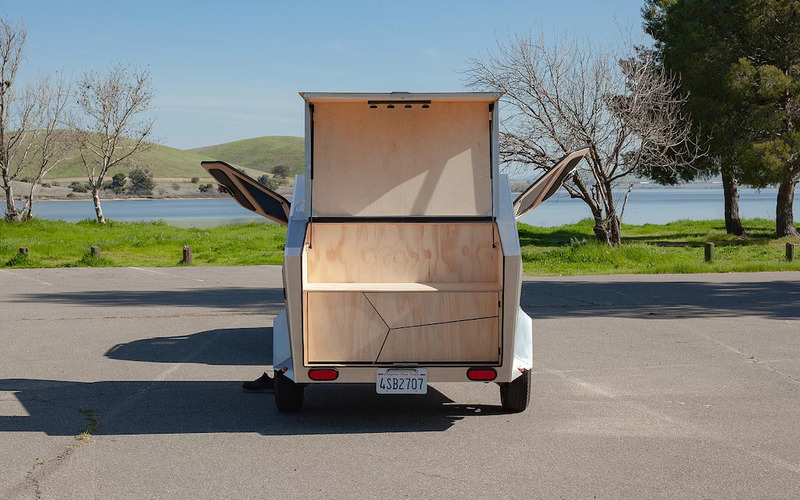 Currently, a limited first-run of 20 Polydrop trailers are available for just $9K apiece. From where we are, behind a computer screen, it seems like a great deal, but as with any brand new company, you’ll need to do your due diligence and check these out before forking over the cash.